STEP 2. Provide copies of your High School certificate and other supporting documents (in native language & in English). The above documents can also be submitted electronically via email or fax. 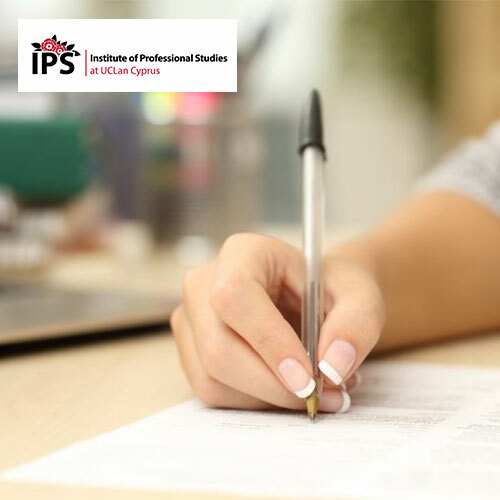 Once the Institute has received all the above required documents, the UCLan Cyprus IPS will proceed with an official evaluation and if the application is successful will issue a Conditional/Unconditional Offer letter stating the terms & conditions of your admission and further details regarding Visa procedures. In case you still do not have your School leaving certificate you can provide the latest mark sheet you have and a conditional offer letter will be issued to secure your place at Institute of Professional Studies at UCLan Cyprus. UCLan Cyprus IPS also offers Intensive English Language courses which quickly enhance your English level.